Boats are both an escape for adventure and a way of life (for fishermen/lobstermen, etc.) in the seacoast of New Hampshire and Maine. 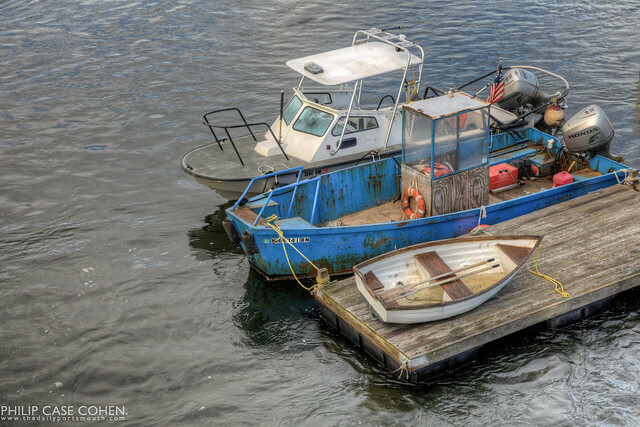 In this shot, a few boats are seen docked on the Kittery, Maine side of the Piscataqua River. I snapped this after enjoying what I’m sure will only be a handful of walks I’ll take across the Memorial Bridge before its central lift span is removed sometime later this year. What a beautiful way to see the waterfront, strolling along the grates and perched above the boating activity and the rapid current beneath.